I was first introduced to the delightfulness that is prickly pear during a road trip through Arizona. We had prickly pear ice cream, prickly pear candy, prickly pear syrup, and more. However, what I hadn’t been introduced to, until a recent trip to Denver of all places, was the prickly pear cocktail. I had my first prickly pear cocktail at Denver’s the ART, a hotel in the FIRE Lounge. This electric pink cocktail is on FIRE’s “fresh” cocktail list as the Brazilian Baroque. 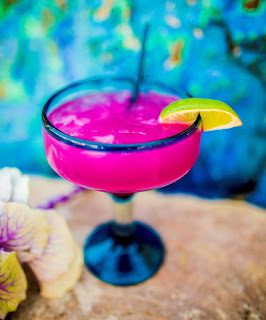 The ingredients of this prickly pear cocktail are Pitu 51 Cachaca, prickly pear, fresh ginger, lime, and ginger beer. Cachaca, if you aren’t familiar with it, is a Brazilian distilled spirit made from sugarcane and is often found in Brazil’s national cocktail, the caipirinha. 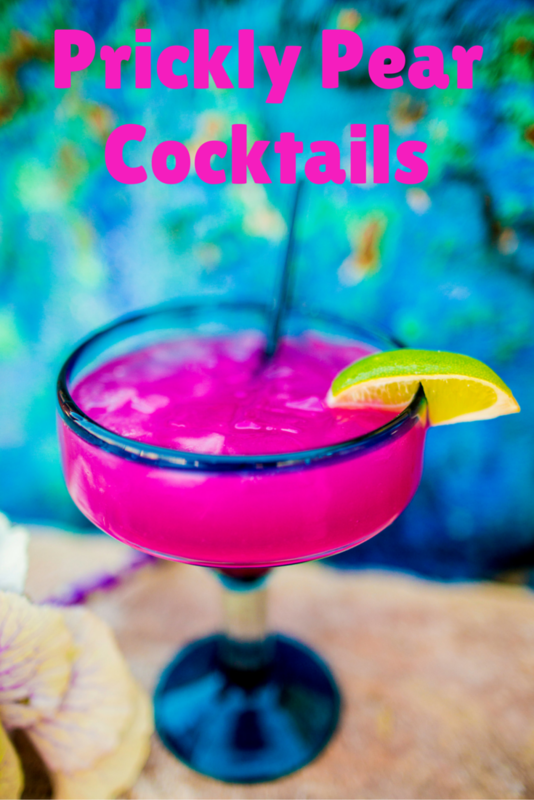 The Pepto Bismal pink color of the cocktail might lead one to believe it is going to be super sweet, but the addition of ginger, ginger beer, and lime make it a fresh and somewhat complicated tasting cocktail. FIRE’s Brazilian Baroque is not the only prickly pear cocktail. In Tucson, the season for prickly pears is at the end of summer in August and September. Every August, Chef Sergio Rocha of Tanque Verde Guest Ranch leads his staff into the cacti-filled Saguaro National Park to pick prickly pears. They de-thorn the fruit and use the prickly pears for their famous prickly pear margaritas, BBQ sauce, syrup, and more. serve on the rocks in a collins glass. Another place to enjoy a prickly pear margarita is The Wigwam, a historic hotel which opened in the western part of the Phoenix area in 1929. The hotel’s recently renovated Red’s Bar & Grill serves this favorite cocktail. 15 seconds to incorporate ingredients. Pour over ice in martini glass. Salt or sugar rim optional. Another resort in Arizona with a prickly pear beverage is L’Auberge de Sedona. Sedona’s wellness retreat offers a non-alcoholic version. Their Prickly Pear Mocktail is a mixture of sweet and sour, prickly pear, and soda. and water in a double old fashioned glass. Pour bourbon over ice and swirl again. Don’t be intimidated by the bright pink beverage. Order a prickly pear cocktail the next time you’re in Arizona or any other place serving cocktails with this unusual ingredient. This article contains affiliate links. If you book or purchase through them they cost you nothing extra, but help fund our travels so we can bring you more travel stories.